Did Deutsche knock on ECB door for cup of cash? Had two calls from institutional traders late Monday afternoon saying they heard rumors that Deutsche Bank had gone to European Central Bank to get a loan to fund overnight operations. A call into DB’s NYC office said they knew nothing of that, but said that action would come from the German HQ, not NYC. The stock reaction does not show any traction to the rumor. Sure there is the story of DB’s laundering $10 billion in Russian money, along with the Commodities Futures Trade Commission’s slapping the German bank for mis-pricing of swaps, but neither of those actions had a great effect on the stock on Monday. 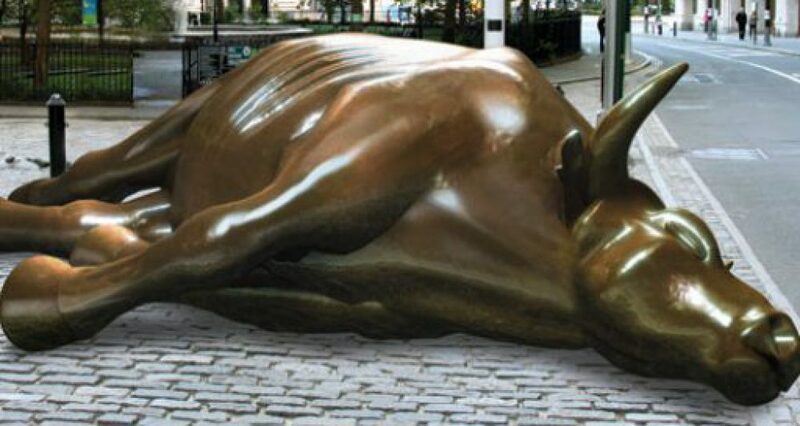 These rumors — though unsubstantiated so far — may have a ring of truth, so be aware of a pending problem, which could lead to another banking crisis that has been spoken about by many large Wall Street players warning the Street a Lehman-like event is about to happen. This entry was posted in economy, monetary, QEuro, Uncategorized, Wall Street and tagged Deutsche Bank, ECB, Overnight lending facility by Michael Gray. Bookmark the permalink.